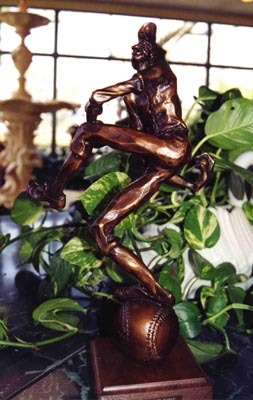 "The Kid Called Smoke" shown on display at the Sculptureworks, Inc. 2003 "Beauties, Beasts, and Books . . ." Sculpture Show and Sale at the Biedenharn Museum in Monroe, LA. Photograph by Elizabeth Loggins. 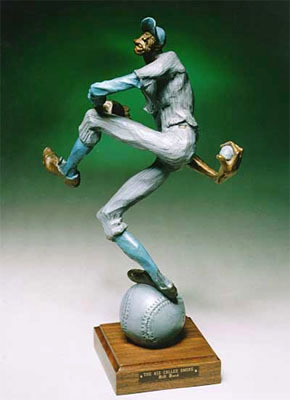 A whimsical depiction of a baseball player winding up. The player is shown standing on a large baseball.